During the year of 2018, the Taiwan Indigenous Conserved Territories Union (TICTU – an ICCA Consortium Member) continued work on the four tribal community frontiers of the Indigenous Peoples’ movement in Taiwan: Katratripulr (mega solar-power farm project), Kakawasan (air force base for Dassault Mirage 2000 and General Dynamics F-16), Mangacun (traditional territories conflict), and Pongso no Tao (the schedule for removing nuclear waste dumps & compensation for damages). Beyond these, there was a breakthrough in July, when the first Preparation Meeting for the Kavulungan Treaty Alliance was initiated by the three Tribal Confederacy Councils of Pinuyumayan (10 tribal communities), Drekay (16 tribal communities), and Payuan (125 tribal communities) peoples. Kavulungan (3,092 m) is the common sacred mountain for these indigenous peoples of South Taiwan. The critical challenge we have all faced, not surprisingly, has been the gap between the legitimacy of the peoples’ rights, and their actionable legality as perceived by the colonial government. This gap seriously impedes negotiations for self-determination and implementation of self-government. Developing a feasible solution for this challenge, in both the local and global contexts, has become the main focus of our work, and our mission. The original TICTU Secretariat and its Advisory Board are evolving into a “think-tank” and capacity-building organization. 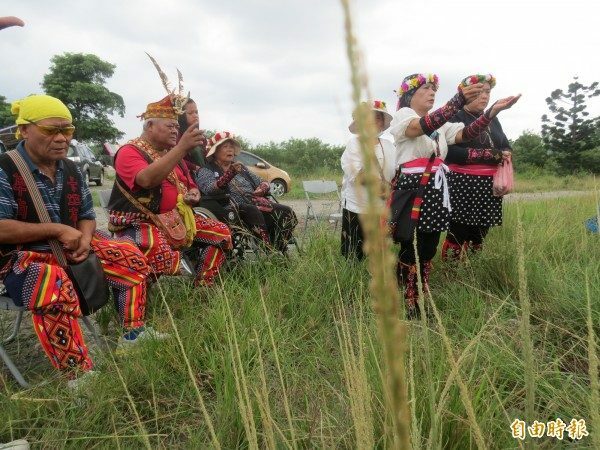 This new organization, the Taiwan Indigenous Action Group Associates (TIAGA), will continue providing guidance and assistance for the Indigenous Taiwan movement. Currently, it is comprised of two focus groups: the Tribal Community Actions for East and West Taiwan with focal points respectively, and a General Convener for Confederacy Treaty Alliances. The two groups work with associates from tribal activists, academics, and civil society organizations, and are coordinated by Hugu in the role of Chief Advisor. With the implementation of mutual recognition among those independent ethnic group confederacy councils, the larger and potentially more powerful Taiwan Indigenous Sovereignty Confederacy Alliance (TISCA) is emerging. TIAGA has invited Bingtih Trau of the Katratripulr Tribal Community Council, a former Convener of the Pinuyumayan Confederacy Council, to be the General Convener of Tribal Action and Confederacy Treaty Alliances. The Case of the Katratribulr tribal community of the Pinuyumayan people – This is a successful story of applying the FPIC principle, according to article 21 of the Indigenous Peoples Basic Act, to prevent the Taitung county government from contracting and building what might be the nation’s largest solar power station on a 161-hectare plot of land that overlaps the wetlands in the Katratripulr traditional territories on Kanalruvang. Covering nearly 20 hectares, the wetland has up to 185 bird species and was designated in 2004 by Birdlife International as one of the nation’s important bird and biodiversity areas under its code IBA-TW040. However, it is not included among the nation’s protected wetlands as shown on the website of the Ministry of the Interior. After nearly a year of fierce campaigning and tough negotiations, the Katratripulr tribal community council has built the consensus and solidarity needed to stop this 200 million USD development project. Even though the contracting company offered an annual payment of 650,000 USD in compensation, this was resolutely refused by the Tribal Community Council. Instead, they followed up by implementing the TICTU community-habitat restoration scheme of “eco-occupation, de facto governance, and collaborative commons management”, beginning in October of 2018, by holding a traditional Ritual of Return. Discussion is now evolving on how best to codify governance rules for rotational farming, seasonal hunting and gathering, and house-building. There is now a critical challenge for indigenous peoples: the need to create a written code of their traditional rules and practices. Historically, this collective memory and knowledge has been transmitted through the oral tradition. We need to have a permanent record of our traditional governance institutions in our territories of life, one that we can point to and show to others. This document should include the necessary adaptations and innovations in our modern living conditions, as well as our long-term vision. The Case of the Kakawasan tribal community of the Amis people – In 1971, the traditional territories of this tribal community were grabbed and the Kakawasan people were evicted by the government, in order to build a major air force base on the Pacific coast of Taiwan. A turning point came only in early 2018, when Mikesi’, a well-educated young man, who is the son of a former elected Chief, became the Tribal Community Council Chairperson and contacted the TICTU Tribal Action Committee to request their collaboration. This young leader took the responsibility for organizing the Mountainous and Coastal Indigenous Peoples’ Alliance in Taitung, in September 2018, with the goal of promoting self-awareness of natural sovereignty and inherent rights, along with implementing the tribal community-habitats restoration scheme. Mikesi’ is also an expert in GIS, and he provides essential assistance for the member tribal communities as they map their traditional territories. TIAGA has invited him to be the Focal Point of Tribal Community Action in East Taiwan, and he has also been appointed to be the new Executive Secretary of TICTU. The Case of the Mangacun tribal community of the Bunun people – Namasia County, now with three tribal communities of Bunun people, the Mangacun, Nangisarʉ and Tangaanua, had been the traditional territories of the Kanakanavu people until the 20th Century. The Kanakanavu population declined dramatically because of epidemic diseases and immigration policies during the Japanese colonial period. There is a Bunun elder, Bukun, who has proactively assisted Chief Pani of the Coapoana clan to lead the remaining Kanakanavu descendants in the process of self-identification and cultural revival beginning in the 1990s. The Kanakanvu people finally achieved official recognition as an ethic group in 2014. With a population of only 342 people, they are the smallest ethnic group in Taiwan. Their collaboration with the Bunun people has established an important model of a dominant ethnic group helping a smaller one handle the complex problems of survival and revival when their traditional territories overlap. TIAGA has invited Bukun to be the Focal Point of Tribal Community Action in West Taiwan. He will take the lead to initiate the Tunkusavi Indigenous Treaty Alliance among the Bunun, Cou, Thao, Kanakanavu and Hla’alua peoples. The name of the alliance honors Mt. Tunkusavi, 3,952 meters high, the tallest mountain in Taiwan. It is the common sacred mountain for all these peoples. The Case of Pongso no tao Island – They have re-negotiated the removal schedule and the compensation for the nuclear waste dump on this island with the Taiwan government, following the recent publication of the truth investigation report (September 2018) on the dump’s continued damaging effects. The dump was started in 1982, and after decades of protests by the indigenous people of Pongso no tao, the government formally apologized and began compensation, but the nuclear waste dump is still there. The 2018 report confirms that the damaging effects continue. Although radical changes are expected,rhe results cannot be announced before the finalization by consensus with the colonial government early 2019. Indigenous Autonomy Law has not yet been introduced into the Legislative House as was promised by the ruling party DPP in 2016. Indigenous Land & Marine Territories Law has not yet been introduced into the Legislative House as was promised in 2016 by the ruling party DPP. New regulation by the Council of Indigenous Peoples on tribal community consultation and consent in traditional territories has excluded the private land and been limited to public land only. New amendment of Regulation on Indigenous Reserved Areas will open land to easier privatization, and further cut off common ownership by communities. We will revise the restoration program according to the TICTU plan, recognizing the growing trend of urban migration and its destructive effects. We will rethink radical alternative measures for ICCA-Territories of Life to make them good living places on our planet Earth, places where people will want to live. The indigenous peoples’ solidarity resistance is growing, spontaneously and voluntarily, through limited tribal community resource-pooling. We still need to find ways to get major monetary support to create a trust fund for assisting the fundamental and long-term counter-historical process of self-determination and self-government for the survival and revival of Indigenous Taiwan.